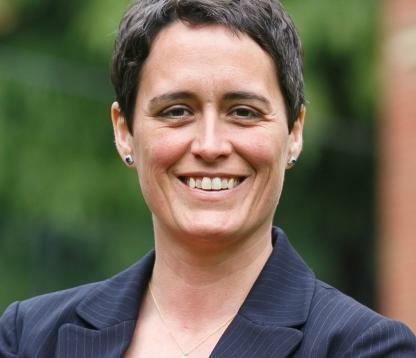 Heather Mizeur's "Soul Force Politics"
Heather Mizeur directs MizMaryland/Soul Force Politics. Our guest today is Heather Mizeur, the former Democratic primary gubernatorial candidate who has a new project called Soul Force Politics. The project lives online at MizMaryland.org, and includes a weekly podcast and a policy blog, and will eventually run women-empowerment workshops. In her podcast conversations with guests like Melissa Etheridge, Gov. Larry Hogan, or film maker and actor Sonja Sohn, she makes the case that spirituality should not be divorced from our political discourse. And her new project explores the merging of what she calls inner wisdom and external actions, and how that union can animate political movements.